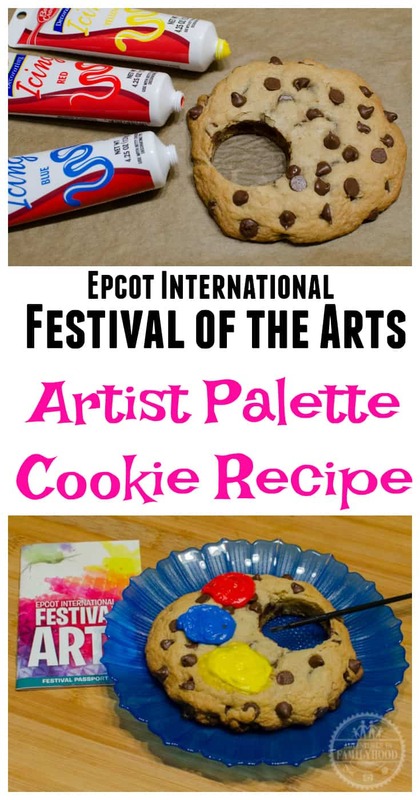 A stand out treat from the Epcot International Festival of the Arts at Walt Disney World is the Artist Palette Chocolate Chip Cookie. Learn how to make this fun and interactive dessert at home and let your inner artist shine. After the merriment of the holiday season comes to an end, Walt Disney World’s Epcot has unveiled a new festival to delight guests through the winter months. 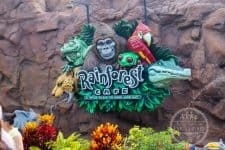 Now in its second year, the Epcot International Festival of the Arts, which will run from January 12- February 19, 2018, is a celebration of all things arts and entertainment. Guests are treated to life-sized works of art, musical performances and Broadway stage productions. The Festival of the Arts is the ultimate cultural celebration. 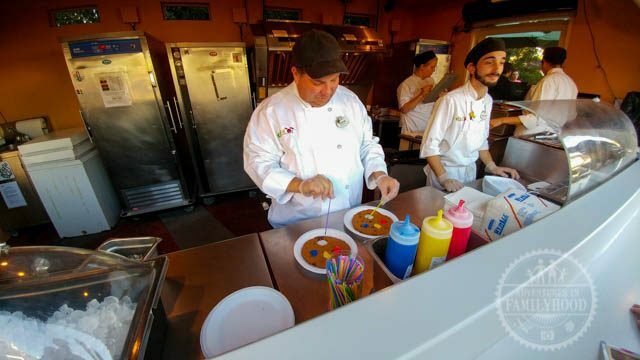 No Disney festival would be complete without food. The Festival of the Arts pulls out all the stops to create dishes that themselves could be considered priceless works of art. Many of the dishes are inspired by Modern Art movements such as Pop Art and Deconstructivism. The food is served and presented with an artistic twist as well. 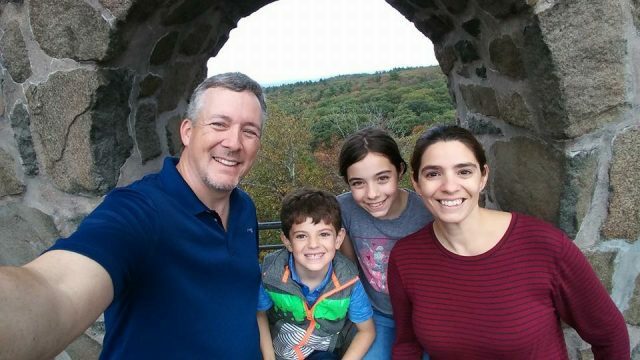 I had the opportunity to enjoy the Festival of the Arts with my family last year. One treat that you can find at numerous kiosks throughout the festival is the Artist Palette Jumbo Chocolate Chip Cookie. My kids especially loved this treat because it allowed them to be artists. 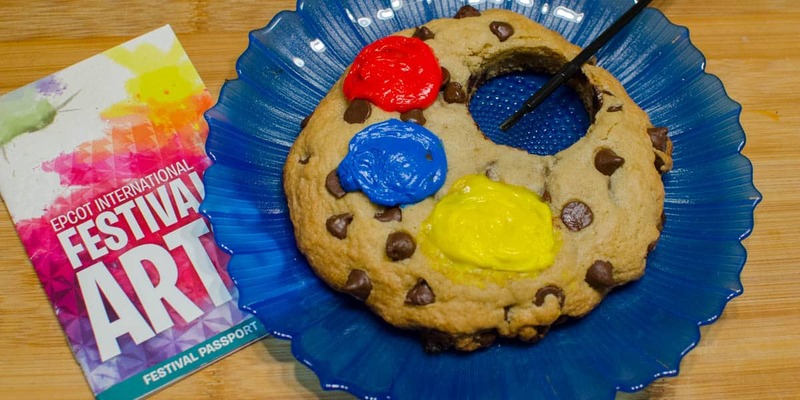 A jumbo chocolate chip cookie palette is served with dollops of red, yellow and blue icing “paint”. 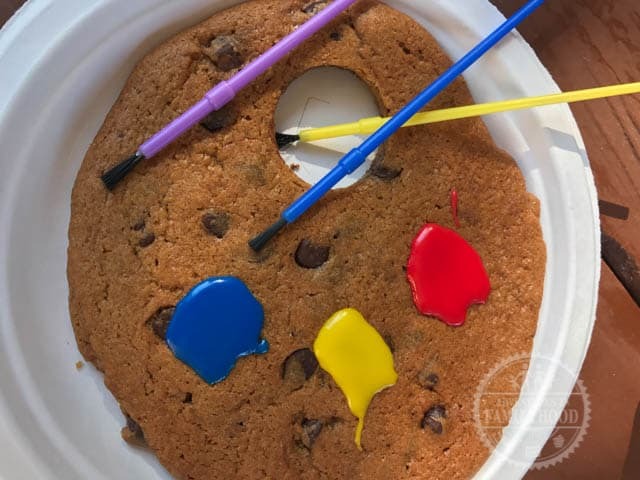 The cookie is also accompanied by paint brushes so you “paint” you cookie any way you want. The interactiveness of this treat made it a stand out. My kids were excited that I was going to be recreating it at home. The recipe itself is fairly simple. It’s basically just a giant chocolate chip cookie. The fun is in creating the palette and of course decorating it with the icing “paint”. Let cookie cool completely. 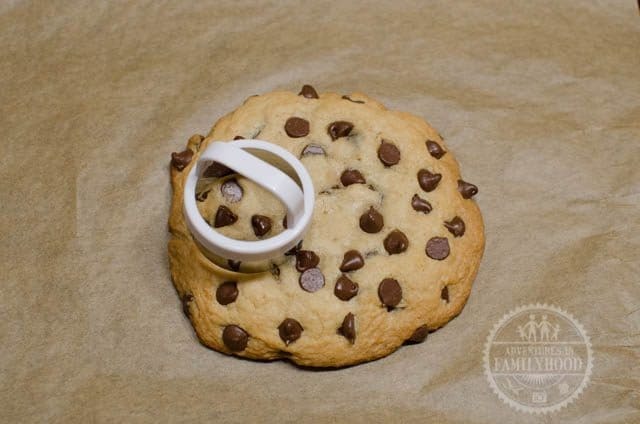 Using a small biscuit cutter, cut a circle to the left-hand side of the cookie. You could also use a paring knife. 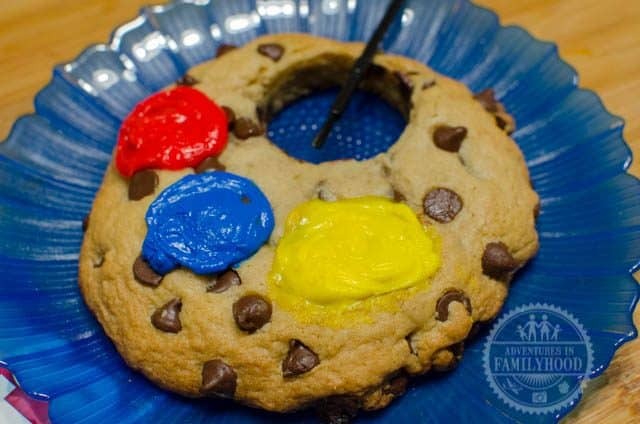 Squeeze a dollop of each color on the right side of the cookie to look like paint. Preheat oven to 350 degrees. Place butter in a microwave safe mixing bowl. Heat until almost melted (about 30- 40 seconds). Remove from microwave and whisk until butter is fully melted. 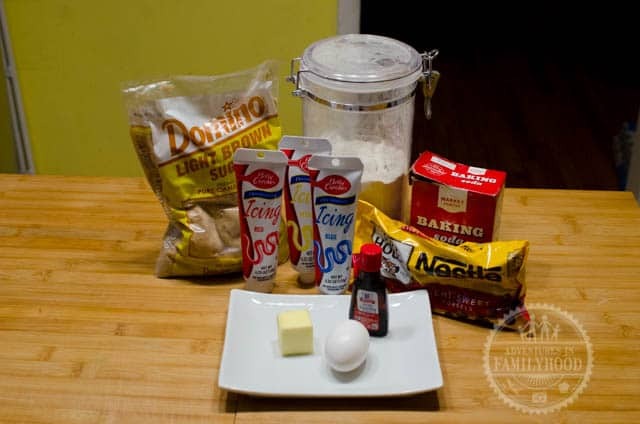 To butter add brown sugar, salt, egg, vanilla, flour and baking soda. Stir with a spoon until combined. Mix in 3 tablespoons of the chocolate chips. Prepare a baking dish with a silpat or parchment. Shape dough into a 3 ½ inch disk on the baking sheet. Press in the remaining chocolate chips. Bake 10-14 minutes or until golden brown. Let cookie cool completely. 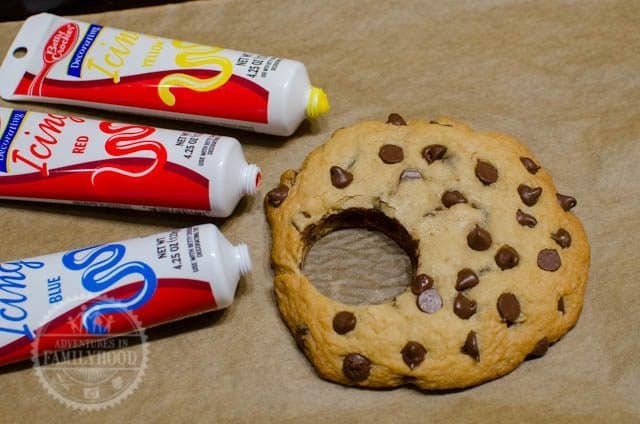 Using a small biscuit cutter, cut a circle to the left hand side of the cookie. You could also use a paring knife. Serve with a clean paint brush. Let your artistic side free and decorate your cookie to your liking.